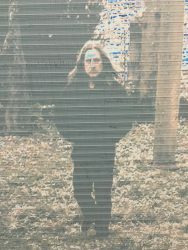 In the big market for new names that the small contemporary art world spends much of its time oohing and aahing about before quickly forgetting again, there are nonetheless those sincere individuals who often know not what to make of an artist through lack of consistent exposure to their work. 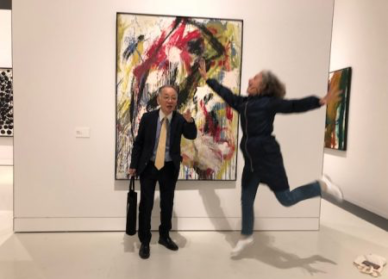 To truly appreciate contemporary art – no different to appreciating the old masters, mind you – requires different efforts and approaches depending on the artist. 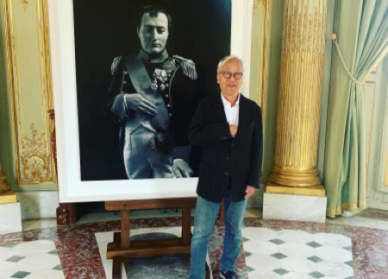 You’ll find that with some, it is a particular exhibition that holds the key to their work: regrouping a substantial number of their pieces, each placed within a system of their author’s design and in dialogue with the others. 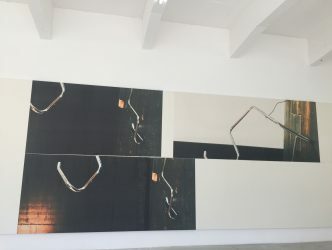 So it was for me for a long time with the American artist Wade Guyton (born 1972) who in the past few years has been one of the most prominent artists on the young contemporary scene but also, and this is not necessarily to his advantage, in the art market. Through no fault of his own, he is one of those names who between New York and London have tended to attract those individuals looking for a quick profit at auction, especially in 2014. 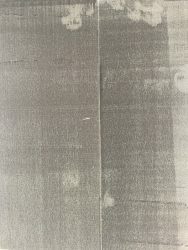 That year one of Wade’s canvas sold for 4.3 million euros. 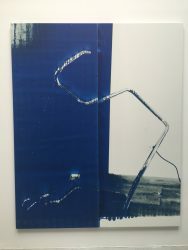 He engages conceptually and visually with reproducibility, with mechanical work, but in works that are unique, where the accidental intervenes, works that are contemplative and an update on the polychrome canvas register, abstract or otherwise, in the vein of Christopher Wool for example but also Andy Warhol. 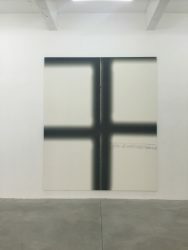 Wade Guyton uses large printers to cover over his canvases, though he persists in calling them paintings. 21st century paintings. 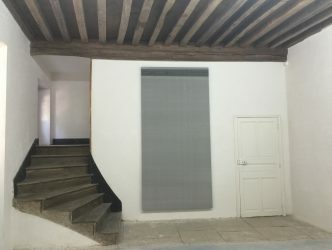 After a two-year silence, the artist who was the subject of exhibitions in such influential venues as the Kunsthalle in Zurich and the Whitney Museum in New York has decided to show his new work in a little talked about space where collectors rarely venture, and journalists even less, but one nevertheless known for the calibre of its programming: the Consortium in Dijon. 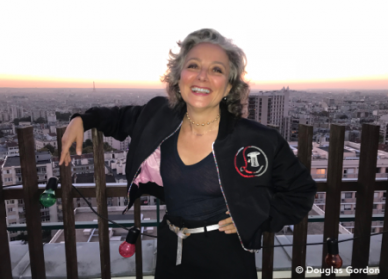 Miraculously the New York Times Style Magazine ran a feature on the Consortium on 21 June with the title ‘The Under-the-Radar French Museum That Quietly Predicts Art’s Next Big Thing’. 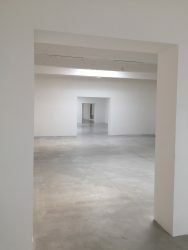 In fact we were saying exactly the same thing on this very blog back in March (https://judithbenhamouhuet.com/report/could-dijon-be-the-epicentre-of-french-contemporary-art). Guyton did not want to be filmed, but he was willing to be interviewed. 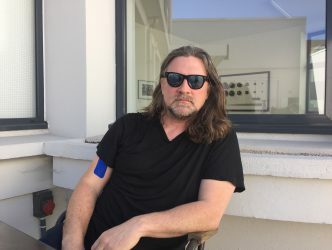 Doe-eyed with long, wavy salt-and-pepper hair, this man of few words ponders carefully before speaking and comes across as being at once determined and well-balanced. He explains the choice of the Consortium in an interview that we conduct in the sun-filled courtyard of the venue. For the record, the art on display at the Consortium is remarkable. 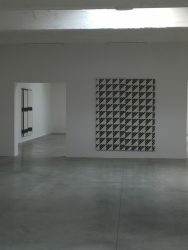 Each room is punctuated by three works involving a play on perspective. All are variations on the same theme: a sort of still life inside his studio. The floor is polychrome and the central image of the composition is the frame of a Marcel Breuer-designed armchair that he disassembled to turn it into a sculpture. 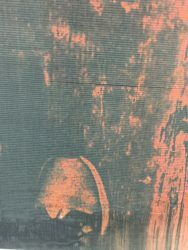 Occasionally, in passing, you glimpse in the corner of the polychrome flooring the artist’s foot clad in a sneaker. 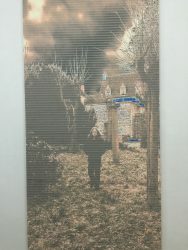 At other times you see details magnified several times over which form a cross or a pixelated, repetitive motif. 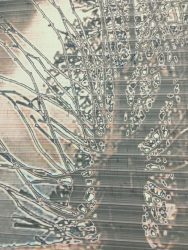 Each canvas is composed of two equal parts, justified by the width of one of his two printers. He experiments with emptiness and fullness like Andy Warhol in some of his ‘Death and Disasters’ silkscreens. He tirelessly reconsiders the landscape of his studio like Chardin or Morandi, attempting to pierce the secret of the image through a still life repeated a hundred times over. In fact these images could be considered self-portraits: obsessions with an intimate motif. 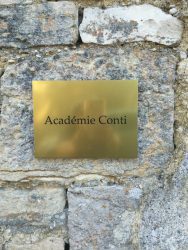 But if you want to see a genuinely figurative and explicit self-portrait, you need to head over to the Consortium’s annex in the dreamlike premises of the Académie Conti, twenty kilometres from Dijon, surrounded by the Romanée-Conti grand cru vineyards. 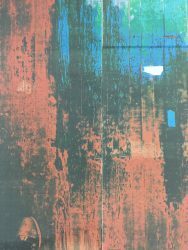 It’s here that he has hung a collection of grey abstract paintings with velvety and pixelated texture, among them a portrait of a mysterious Wade Guyton taken during winter in Romanée Conti. He explains that his two-year silence has allowed him to work without worrying about the specifics of a show. The result is a success. 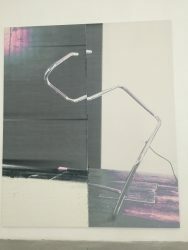 This exhibition is a must-see if you want to understand Wade Guyton lucidly: a hip artist, but one who is in no way superficial. The show will be at the Museum of Contemporary Art in Geneva from October.